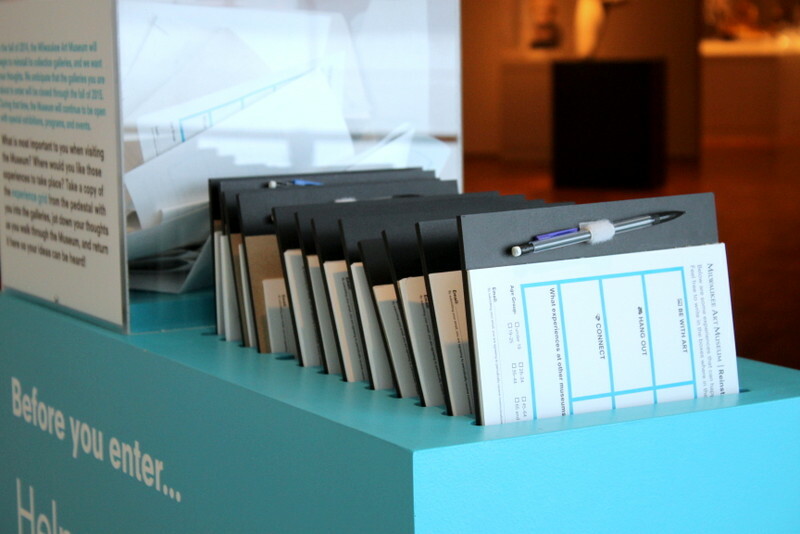 As a museum educator with an interest in participation at museums, this spot is especially exciting and important to me, because it’s a place where visitors can take part in something a bit interactive and tell us what you think about the Museum experience. What brought this on? We are in the process of planning for our permanent collection reinstallation during 2014-15. The Museum will be open, and the permanent collection will be off view while we reimagine what artwork we share and what stories we tell in the Museum. We want to make sure we bring in the visitor voice as we plan. 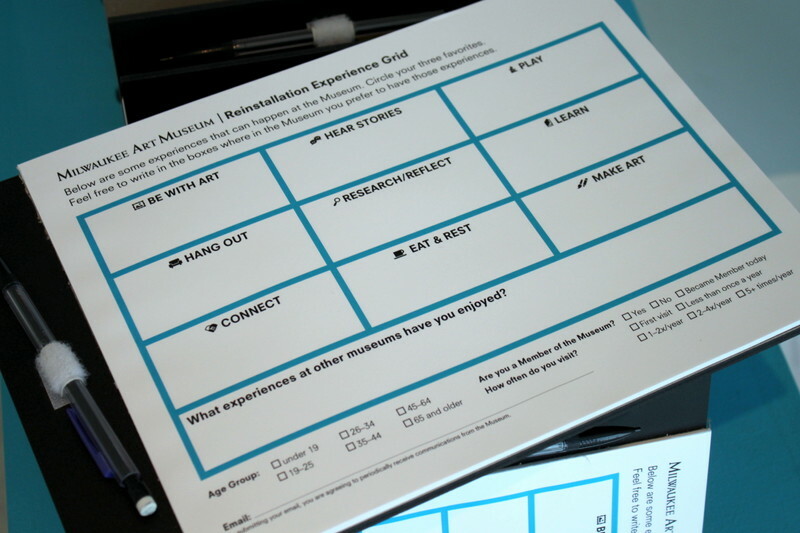 To that end, we’ve taken an “experience matrix” that we developed with the design firm IDEO to help guide us in thinking about the many different types of things people can do at the Museum. 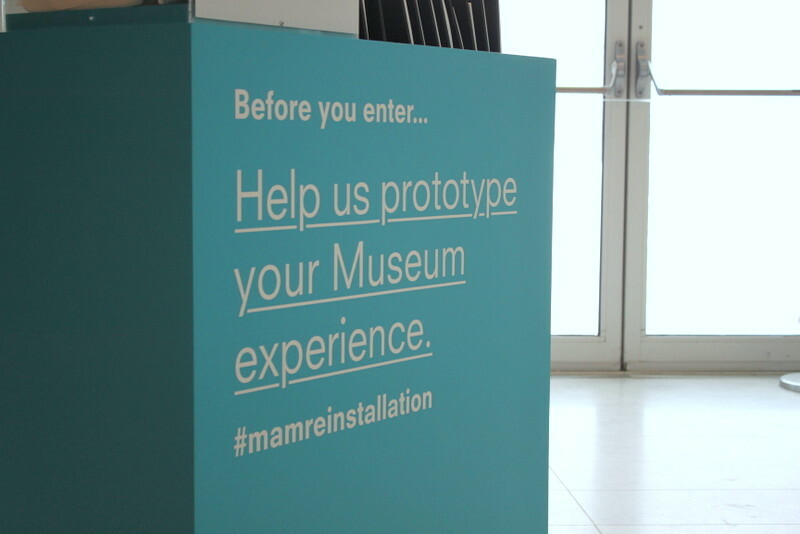 At the prototyping pedestal, you can take the matrix with you into the galleries, circle your three favorite experiences to have, and note where you’d like to see these experiences happen (or keep happening) at the Museum. Some folks are even describing details about what they’d like to do, not just where, which is great! We’ve amassed a lot of data so far and are looking forward to seeing what patterns arise. Until then, please come visit and share your thoughts with us! 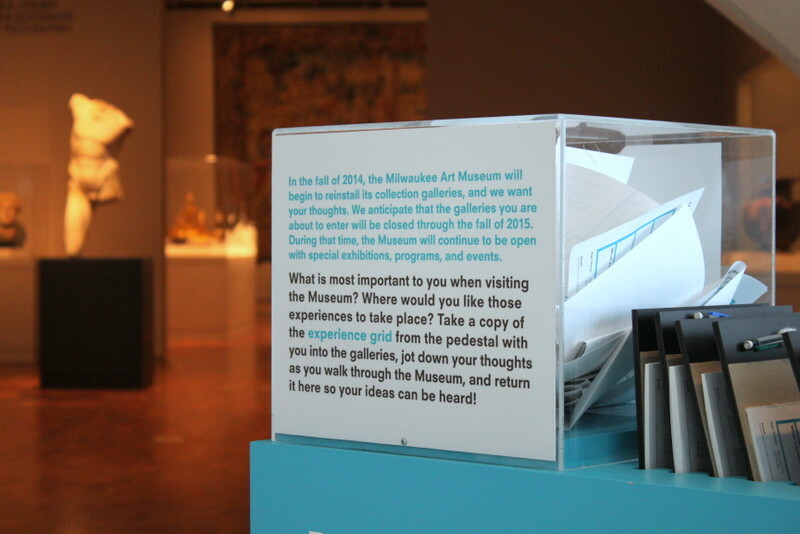 The Pedestal will be up until the permanent collection galleries go off view in early fall 2014, but the sooner you share your thoughts, the more we can use them as we plan. Chelsea Emelie Kelly is the Museum’s Manager of Digital Learning. In addition to working on educational technology initiatives like the Kohl’s Art Generation Lab or this very blog, she oversees and teaches teen programs. Say hello on Twitter @MAM_Chelsea. 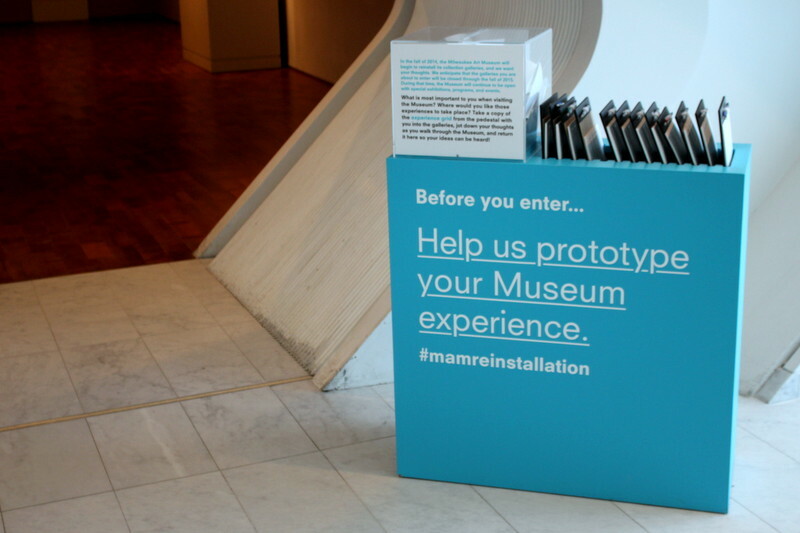 This entry was posted in Behind the Scenes, Curatorial, Education and tagged experience, museum experience, prototype, prototyping, visitor experience. Bookmark the permalink. Thank you so much, Chelsea Emelie Kelly for writing the article on the Prototyping Pedestal (which I think is a great idea!). Since lately I’ve only been to the Uncommon Folk Art show and today a lecture about Dirk Skreber by Margaret O’Brien in the gallery with his work, I didn’t really know that this existed. I’m make certain to find it in the future!